The Land Records and Mapping Divisions work together to maintain ownership data and cadastral maps for all the real estate in Pender County. The ownership files include the owner’s name(s), the situs (physical) address, mailing address, brief legal description, PIN (Parcel Identification Number) and acreage/lot size. In addition to the ownership information, the county cadastral maps contain property boundaries, road right of ways, acreage, municipal boundaries, recent easements and lot dimensions. Both the ownership data and the cadastral maps are maintained for assessment purposes and are based on recorded documentation. These ownership and cadastral maps are for taxation purposes only and should not be considered as legal documents or opinions. Land Records Questions often asked…..
My parents passed away recently. They held life estates and my siblings & I are the remainderman. What do we need to do to update ownership? Simply bring in copies of the death certificates and we will update ownership to reflect the remainderman named on the recorded deed. I want to combine my two adjacent lots as my house sits on both lots. What do we need to do to combine our tax bills? We will be happy to combine your parcels together if our office receives the necessary recorded documentation. To combine lots into one parcel, we must receive a legal description describing the new boundary. This may be accomplished either by way of a recorded survey depicting the parcel or by a written metes and bounds description. This new combined legal description must be referenced in a recorded document such as an affidavit of recombination or deed of recombination. 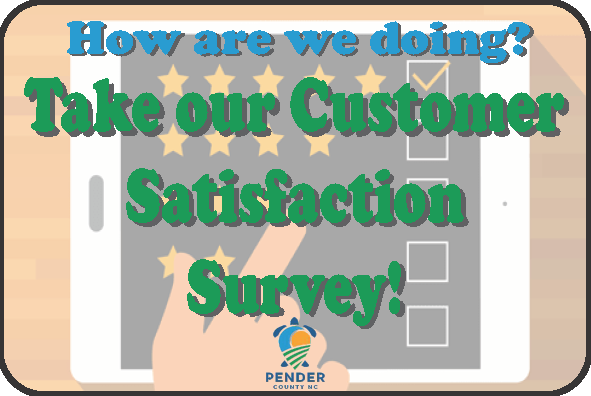 Also, please check with the Pender County Planning and Community Development prior to recording any modifications to your boundary description to be certain you are satisfying their requirements. 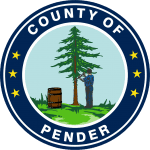 If you are under the jurisdiction of any of the municipalities in Pender county, please contact their respective Planning Development office. My aunt left her home to me in her will. What do I need to do to list the property in my name? Once the will has been probated (proven to be genuine) by the Clerk of Court, then title to the property vests in the devisees as noted in the will. Simply provide our office with a copy of the probated will and we will update the tax listing accordingly. Keep in mind, a copy of the probated will must be presented to each Clerk of Court in the county where the real estate lies and then presented to that county’s Land Records department. I gave my children my house and land subject to my life estate. The tax listing is still in my name. Shouldn’t the property be listed in their names? Per NC GS 105-302(c)8, a life tenant shall be considered the owner of real property and it shall be his duty to list the property for taxation. In addition, per NC GS 105-384 it shall be the duty of the life tenant to pay the taxes imposed on real or personal property. My spouse and I owned an acre of land and the home on it as tenants by the entirety (often to referred to as husband and wife). My spouse died this year. What do I need to do update the tax listing on our property? If your spouse passed away in Pender County, simply contact our office and inform the Land Records clerk. Our Land Records clerk will be able to obtain a copy of the death certificate from the Pender County Register of Deeds office. If your spouse passed away in another county, simply provide the Land Records Clerk a copy of the death certificate from the county your loved one passed away in. You may fax, email or hand deliver your copy of the death certificate. My parents are both deceased and neither had a valid will. How will their property now be listed in the Land Records Department? The tax records will be listed under the heirs of the name of the deceased per their respective death certificates. My name is misspelled on the online tax listing. How do I have corrected? The owner’s names are entered exactly as is shown on your recorded documents. Though we strive for accuracy occasionally there are keying errors. However, if the misspelling is present on your recorded document of ownership, we will be unable to make any edits.